Well, we can blame some plant puniness on being a tropical houseplant indoors in the winter. Low levels of light and humidity trigger a response in plants that slows them down for the winter. They shed foliage and basically standby until the environment turns more favorable. David and Betty Mann will be celebrating their 50th wedding anniversary Jan. 8, 2016. 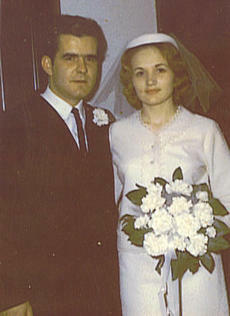 They were married Jan. 8, 1966 at Falmouth Baptist Church in Pendleton County, Ky. They have two children, Tony (Bridgette) Mann and Julie (Ernie) Lucky; and three grandchildren, Madeline Mann, Angus Mann and Will Lucky. Luther and Armetta Fryman celebrated their 70th anniversary. 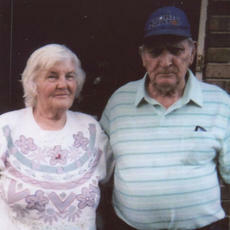 They were married on Dec. 24, 1945. They have seven children, Bobby, Jerry, David, Randy, Trudy, Rita and the late Herbert. Births announced this week are: Shannon Grace Bostic, Dec. 14, daughter of Ronnie Dale and Alissa Marie Bostic; Chaelynn Rynea Fryman, Dec. 15, daughter of Holly Harding and Joshua Fryman; Chloe Alyssa Nicole Grimm, Nov. 23, daughter of Chris Grimm and Samantha Creamer; Bailey Nicole Wood, Nov. 2, daughter of Brian and Angie Wood. I like to take time to reflect on the general state of things as one year ends and another begins. Other than a few minor details, I like where I am. I get to think about food and farming as a practical application at home as Andy and I cared for 800 Freedom Rangers on pasture for the summer season; 65 head of sheep at their peak after lambing and 100 layers that reliably deliver the gift of an egg every 36 hours or so (except for this time of the year). The Cynthiana Chapter of the DAR met at the home of Karrol Pinney on Dec. 12. The DAR Ritual, The Pledge of Allegiance, The American’s Creed, and the Preamble to the Constitution were recited, followed by the singing of the Star Spangled Banner. Kesterson introduced Cindy Codell, Corresponding Docent, from Winchester, Ky.
* The steadfast volunteers of the Cynthiana-Harrison County Museum, 124 S. Walnut Street, the old Rohs Theatre, for their 21st year, extend Christmas greetings and blessings to all. Come visit this community’s history and art museum, Fridays and Saturdays, 10 a.m.-5 p.m. While we like to think of the holidays as a picture-perfect Norman Rockwell painting, they tend to be the exact opposite and full of stress for everyone around. Think about it - from buying presents and extra food to visiting relatives you hardly ever see, stress can come from all sides during this time of the year. Births announced this week are: Abigail Reese Courtney, Nov. 14, daughter of Joel and Jenny Courtney; Kyler Douglas Fryman, Nov. 24, son of Robert (Booter) Fryman and Amber Fick; Wyatt Leslie Clay Ravencraft, Nov. 23, son of Danny and Rachel Ravencraft; Noah Scott King, July 7, son of David and Leah King. Cynthiana is losing another industry. Concept Packaging Group is moving its local facilities to Georgetown. This time of year, toy stores are crammed with loving parents, aunts and uncles, and grandparents trying to find the perfect gift for their favorite little ones. Last Christmas season, Jace’s mom was praying she would have her son long enough make Christmas memories. She dreamed of having the opportunity simply see him walk, watch him open Christmas gifts, sing songs, and enjoy holiday treats.